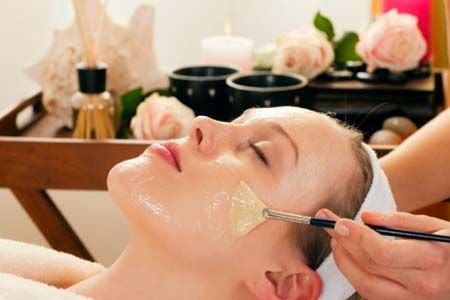 Ok this week (the penultimate edition) of Best of Beauty Blog Challenge looks at your Favourite Beauty Treatment, be it waxing, facial, massage, etc. In this instance, it was no contest for me, I definitely prefer a relaxing facial. There's nothing like it as far as I'm concerned. It's relaxing, it's rejuvenating, it brings your skin back to life. I don't know, I just feel properly looked after once I've had a facial. And there's usually a massage element in it for your face, neck, arms and sometimes even hands. It's just uber relaxing and you feel incredibly replenished afterwards (I promise all the alliteration isn't intentional). As I have dehydrated skin, I love how soft and supple my skins feels after a good facial. This post along with the pamper products post, made me realise I do need to pamper myself a bit more. So I expect to book myself in somewhere in the coming weeks. Since I was really happy after getting my hair done at Burgundy Beauty, I may get something extra done with my next hair appointment. I have actually done a recent DIY pampering evening myself, so I'll pop up a post about that tomorrow, be sure to check back! If you want to see everyone who is taking part, be sure to check out the post on Samantha's page over on All The Buzz. So that really sums up my favourite treatment. What about you, what's your favourite treatment to have done at a salon? I can't wait to read your DIY post tomorrow! You just can't beat a facial! I picked a head/oil massage treatment but I also love facials too! Having fresh, clean and bright skin is so satisfying! Agree that the neck massage bit is great too! looking forward to the DIY post tomorrow too! I've never had a facial but I'm considering booking one after reading so many facial featured posts.